Microsoft Surface with Windows works even better with a right computer mouse. Here we have a list of Bluetooth wireless mice with a variety of portability, shapes, and functionalities. Microsoft designed and developed Surface series to help users to take full advantages of the Windows platform. By now, Microsoft allows more ways to interact with Surface through input devices. 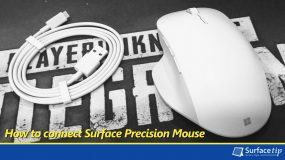 However, among those input devices, a traditional computer mouse seems still to be a great companion to get a faster and better works done on your Surface devices. If you want to get better productivities on Microsoft Surface, you should pick up the best wireless mouse. Here are reviews for the best wireless mice for your Surface PC. I hope it will help you to make a right buying decision. The best Surface productive companion mouse. Patented magnetic scrolling for precise control. Customizable design with three programmable buttons. Pair with up to three computers. Built-in rechargeable battery, last up to 3 months of power on a single charge. Supports Microsoft Mouse and Keyboard Center. Compatible with both Windows and Mac. 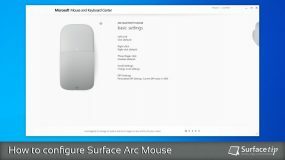 Microsoft has made Surface Precision Mouse as a professional companion mouse for the Microsoft Surface Book 2. 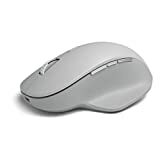 It is a well constructed and solid mouse which is very comfortable to hold and use. It has more features and a better ergonomic design than every mouse ever designed for Microsoft Surface devices. This mouse can be connected to three different computers via either Bluetooth 4.0 and wired USB connections. By using Microsoft Mouse and Keyboard Center you are able to customize the three programmable buttons and work seamlessly across those computers. It also comes with a built-in, rechargeable lithium-ion battery which can be last up to 3 months on a single charge. Best new portable mouse for your Microsoft Surface. Slim, light, comfortable to use. Snap into curved to power on and flatten to power down. Bluetooth Low Energy 4.0 with BlueTrack technology. Full scroll plane support scrolling in both direction. Included 2 AAA alkaline batteries up to 9-month Battery Life. Surface Arc Mouse is the perfect companion for your new Surface Pro. It comes in multiple colors and material design just like the new Surface Pro Signature Type Cover. This mouse using Bluetooth 4.0 wireless connectivity that will work seamlessly with your Surface Pro 4. It uses BlueTrack technology that will work almost any surface. It now comes with a full scroll plane which allows you to scroll both in both vertically and horizontally. First of all, if you want to take full advantages of Windows 8 and Windows 10, this Microsoft Sculpt Comfort Mouse is the best one for you. 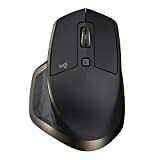 Firstly, it is the ultimate Windows mouse that providing quicker and easier access to the Start Menu, virtual desktops, Task View, Cortana, and OneNote. In addition, if you familiar and love the touchpad available on Surface Type Cover just like me, I highly recommend this one for you. Microsoft’s Arc Touch Mouse Surface Edition is a perfect portable companion for your Surface tablet and laptop. Additionally, it features the same matte black designs and a flat design best for portability. 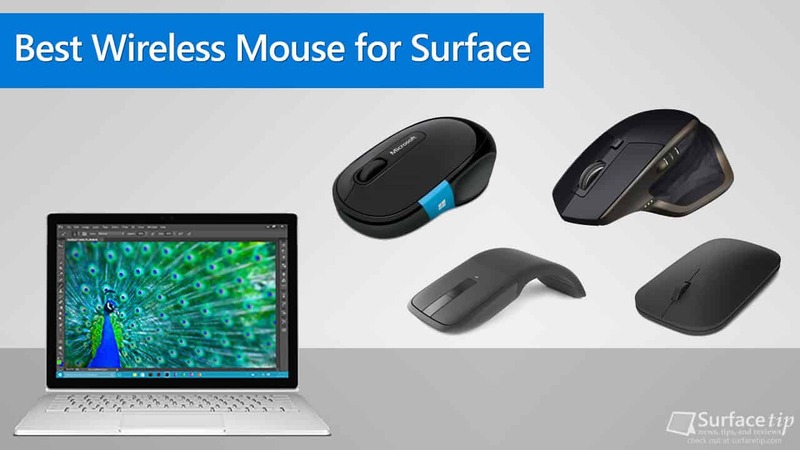 This mouse using Bluetooth 4.0 wireless connectivity that will work seamlessly with your Surface. On top of that, with the BlueTrack technology, it will almost work with any surface. It has a unique touch strip that responds precisely to the speed of your finger movement. Bluetooth connectivity – instantly connecting with Bluetooth 4.0 technology without cable or USB port. BlueTrack technology – this mouse will work on almost any surface in your home or office. Easy power on/off – curves the mouse to turn on and flattens to turn off. Touch to scroll – the touch strip precisely responds to the speed of finger movement with haptic feedback. 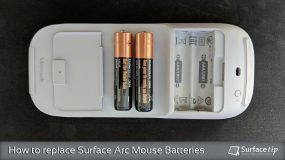 Long Battery Life – with 2 AAA alkaline batteries, you can use your mouse up to 6-month without replacement. If you want a mouse with a simple function with a stylish design from Microsoft, this designer Bluetooth mouse is a right choice for you. First, it is the latest mouse released by Microsoft in 2016. It using Bluetooth Smart and BlueTrack technology from Microsoft. On top of that, it features an ultra-thin profile that is great for portability. One more thing, if you familiar using a mouse with either hand, this one is designed for that. Bluetooth connectivity – instantly connecting with clutter-free Bluetooth Low Energy 4.0 technology. Designed for either hand – Ambidextrous design allows you to control your mouse with either hand. Modern and slim design – stylish and compact for portability. Tracks flawlessly anywhere, even on glass. Unifying receiver or Bluetooth Smart connectivity. Pair up to 3 computers. Built-in rechargeable battery, 40 days of power on a single charge. Work great on both Windows and Mac. On the other hand, if you looking for a great functional and feature-rich mouse, there is no doubt about MX Master from Logitech. Since it has unique shape and design, it looks stylish and professional. This mouse works with both unifying receiver and Bluetooth Smart wireless technology. Moreover, it’s an ideal for users that work with multi computers and platforms. As it has an easy switch button allows you to switch connection up to three Windows or Mac computers. Smart speed-adaptive scroll wheel – The speed-adaptive scroll wheel automatically shifts between scrolling modes in response to your touch. Unique thumb wheel – adds easy horizontal navigation and advanced gestures. High-precision Darkfield Laser – tracks flawlessly anywhere, even on glass. Dual wireless connectivity – can be connected via Unifying receiver or via Bluetooth Smart technology. Virtually limitless customization – Logitech Options software available on both Windows or Mac. It allows you to reassign buttons or even set them up to turn pages, switch applications or perform other frequently used functions. Built-in rechargeable battery – gives you up to 40 days of power on a single charge. Bluetooth Low Energy 4.0 technology. Customizable Chroma Lighting, 16.8 million color options. 6 months battery life for normal daily work. Now it’s time for gaming if you enjoy playing games on the go with your Surface tablet or laptop, here we have an option. This Razer mouse supports either Wired and Wireless Bluetooth 4.0 connections. As a result, it gives flexibility for switching between work and extreme gaming experience. Furthermore, it has a very low response time only 1 ms for wired connection and 8 ms for wireless connection. The mouse’s laser sensor also provides a very accurate mouse movement with its high 8,200 DPI. 8,200 DPI Laser Sensor – Capable of mouse movement speeds of up to 210 inches per second and 50 G acceleration. Customizable Chroma Lighting – you can choose from an impressive 16.8 million color options to personalize your Razer Orochi. Great battery efficiency – you can enjoy playing games without stop for 60 hours or 6 months for normal daily work. Those are the best Bluetooth wireless mouses in terms of portability, design, and functionalities. If you want a highly portable just like your Surface, we recommend Microsoft Arc Mouse Surface edition or Microsoft Designer Bluetooth mouse. While you’re looking for a mouse with more functionalities, there is no doubt about Microsoft Sculpt Comfort Bluetooth Mouse or Logitech MX Master. Finally, if you enjoying playing games on your Surface, the Razer Orochi gives you 8,200 DPI laser sensor for pinpoint accuracy. We appreciate hearing your thoughts, questions, and ideas about “The Best Wireless Mouse for Microsoft Surface in 2019”. Please post respectful comments and on topic. We will be replying back to you as soon as possible. 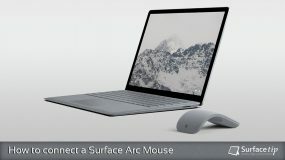 Share your idea about "The Best Wireless Mouse for Microsoft Surface in 2019".